Denon®, one of the world’s leading manufacturers of high-quality home entertainment products, announces the eagerly-anticipated AH-D9200, the flagship of its headphone range. Combining innovative technology with traditional materials, the new model is designed to become the new reference in over-ear headphones. 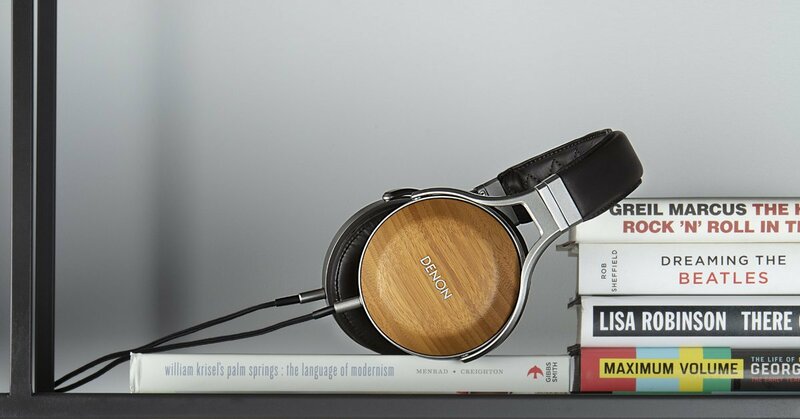 The headphones are handbuilt in Denon’sShirakawa Audio Works facility, north of Tokyo. The unique patterning of the bamboo from which the earpieces are made means no two pairs of the AH-D9200 are the same. Crafted from carefully selected real wood – in this case, distinguished Japanese bamboo – as well as diecast aluminium and leather, the AH-D9200 sits at the top of a three-strong Denon ‘Wood Series’, joining the highly acclaimed and award-winning walnut AH-D7200 launched in 2016, and the zebra wood AH-D5200 introduced earlier this year. The new flagship draws on over 50 years of Denon innovation in headphones and combines unique technology with class-leading engineering to deliver exceptional sound – whether you listen at home or on the move. Within those natural bamboo ear cups – the material is chosen for its warm, self-damping acoustic properties – the AH-D9200 uses Denon’s patented 50mm Free Edge drivers, made from nanofibre and designed to cancel out any unwanted resonances in the diaphragm. Mounted in vibration-reducing engineered resin baffles, and powered by high-energy magnets made from an alloy of neodymium, iron and boron, the drivers’ design makes it easier for them to reproduce the music without flexing or distortion, for purest possible sound. A combination of engineered Japanese leather and memory foam for the earpads to ensure a precise, comfortable fit, while the aluminium headband’s lightness and minimal side-pressure combine with a natural leather cushion to ensure the headphones will remain in place and maintain comfort even during extended listening sessions. The AH-D9200 is supplied with two detachable cables: a 3.0m silver-coated oxygen-free copper connector fitted with a 6.3mm plug for home listening and a shorter 1.3m cable with a 3.5mm plus portable music players. A luxury hard storage case and cleaning cloth will keep the headphones in perfect condition. The AH-D9200 headphones (£1,399) will be available in October 2018 through authorised Denon retailers.